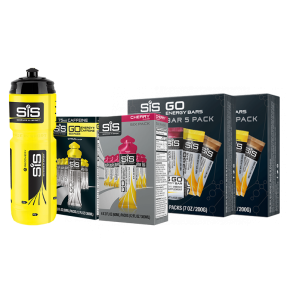 Containing fast absorbing carbohydrate, these can be used with or between meals to increase carbohydrate intake as well as a pre exercise snack. 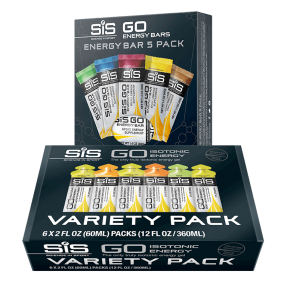 During a race, a commonly used strategy is to take on solid foods like SiS GO Energy bars during lesser intense parts because bars require more blood flow to absorb them compared to other energy products. Energy bars are a good pick me up, and are very convenient. Great combinations of flavors, great taste. Another great bundle to purchase. 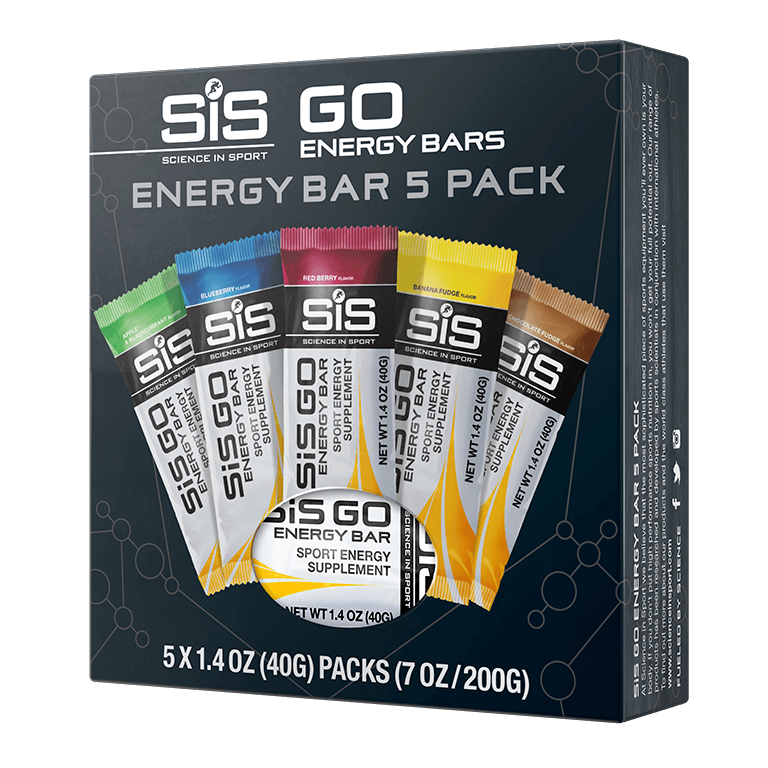 I really like the bars and I have tried many of the energy bars out there. Most of them either give me GI Issues or cause bloating and indigestion. But these are easy to eat and digest and taste great too. 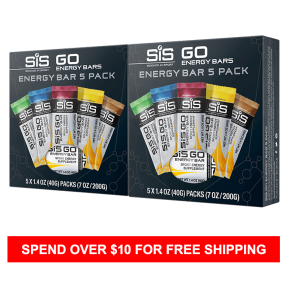 They are smaller than other bars but pack as big if not bigger amount of nutrition. I even keep some of these in my car in case I need a healthy snack. These bars taste fine, but the are hard to chew. Not good if you are trying to consume on the bike. I wouldn't eat them off bike either. Not really enjoyable. I prefer Fig Bars. I haven't used any yet. I plan to use for upcoming training but have not used the bars yet. The one version I have tried so far was very tasty. Perhaps a little sweet, but that made it more like a treat mid ride. Loved these suckers! Small, handy and full of flavor. Taste good. Nice energy boost. I am satisfied. Banana is by far the best flavor. Nice alternative to gels, something to actually chew on. Tasty, nice fuel.